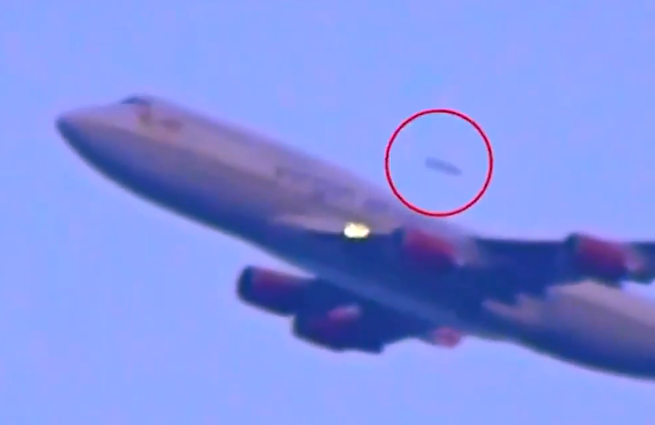 UFO SIGHTINGS DAILY: UFO Shoots Past Passenger Jet Near JFK Airport Over New York On August 2015, Video, UFO Sighting News. 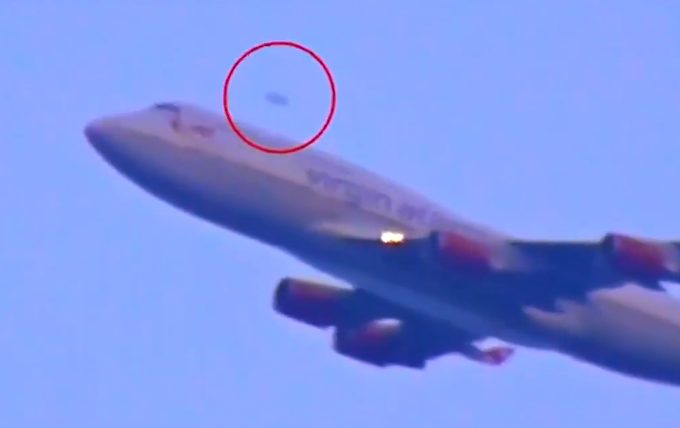 UFO Shoots Past Passenger Jet Near JFK Airport Over New York On August 2015, Video, UFO Sighting News. Guys, this happens. I recorded a video similar to this a few years ago when I was at the beach, and the UFO I caught was even more clear than this (Click Here To View Post and Video). Alien drones do investigate everything that flies, from planes to kites they shoot past to do a quick scan and satisfy their curiosity. This is the spooky moment a jumbo jet taking off from New York was seemingly overtaken in the air by a UFO. The incredible footage shows the Virgin Atlantic plane flying from JFK airport before a mystery object is seen in the distance flying quickly past it. 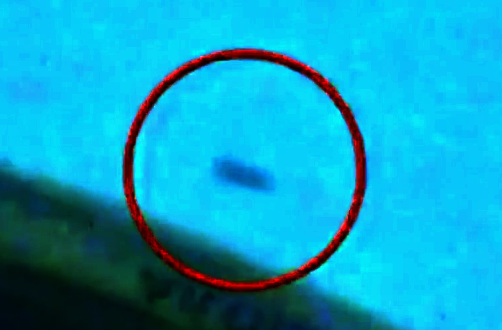 So far, there doesn’t seem to be any explanation other than that the object is a flying saucer piloted by an alien. At least, that’s according to Rick from LookNowTV, who insists the person who filmed the clip is not a hoaxer. He said: “The person that saw this UFO at JFK films planes often and looks to catch UFOs on video… “I thought this one doesn’t look like a bug or another plane in the background. “I have no reason to believe this guy is a hoax. It’s really unidentified.” (More at source).